As most people know, we’re leaving Tuesday for a trip across the pond. We’re slightly nervous about the long plane ride, but mostly just excited to get the ball rolling. Recently, I was drafting up our zero-sum budget for November when Greg asked me how much we were budgeting for our trip. Sadly, I hadn’t even thought much about it. I’ve been so busy with life and everything else that our vacation budget had become an afterthought somehow. I would have to dig deep to find the total costs of all of those items, so I’m just going to estimate that the total came in somewhere between $1,000 and $1,200. FREE. We also paid for our hotel stays and the majority of our flights with credit cards rewards. For example, our flights to Europe were 80,000 AA miles and a total of $197. We paid cash for the $197 in airline taxes and fees. ***If you want to earn some American Airline miles of your own, consider signing up for the American Airlines Advantage credit card. The offer is up to 50,000 miles for a limited time and the $95 annual fee is waived for the first time. Our hotel stays were completely free thanks to the two free nights from my Hyatt credit card and the stash of points I racked up with my Starwood Preferred Guest American Express. Let’s start with food. We’re fortunate that we’re getting free breakfast every day we’re there, and my plan is to milk that situation as much as possible. In other words, I’m going to pig out. I’m talking eating until my belly hurts and my pants are tight then stuffing some rolls in my purse for later. Yeah, I’m not above it. But we’ll still need to eat the rest of the day so we need to plan for it, right? Since we’re not bringing nice clothes for something fancy and we don’t eat meat, I’m guessing that $60 per day will do the trick. Hopefully less. I’m perfectly happy skipping lunch if I eat a big breakfast anyway. According to this website, it looks like a 2-day train pass in Paris is around $22 in USD. That means $44 for the two of us. Airport parking will cost another $64, and I decided to budget $100 for Christmas presents or souvenirs. So, where does that put us so far? Since I like to err on the side of caution, I went ahead and decided to budget $750 for this trip. However, remember all those business card sign-up bonuses I was talking about? 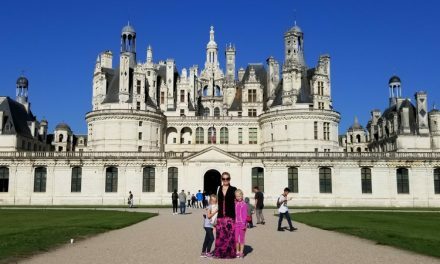 We plan to use #4 during this trip then cancel out some of the purchases when we get back with the cash-back we earned from the sign-up bonus. I plan to use $500 in cash-back to pay for this trip, so that means we just need to budget for the other $250 that is left. Will it cost more? Will it cost less? I honestly don’t know at this point. I’ve been so busy with work and everything else that I’ve barely had time to do any research or plan anything. I think I’m on the right track and I made the best effort I could. We’ll just have to see what happens. Did I leave anything out? What would you budget for if you were going? Have you ever had a Citi AAdvantage card? NextDo the Changing Seasons Affect Your Budget? I’m always impressed when you manage to pay for all this stuff using points and bonuses, and then somehow you manage to conjure more money out of the air by buying even more stuff on your cards… we should all learn to travel like this! I will be interested to see how things work out in Paris: it’s a very expensive place to be a tourist, but I’m sure you’ll find ways to keep to your budget. Hopefully free breakfast will help. We don’t have any big plans, so hopefully we won’t spend too much money. Depends on the country – I think we averaged (in western Europe between 120-200 euros a day for 2 people, for everything. I already prepaid most of it! How much is your out of country health insurance? I don’t travel very often so I would just purchase for the trip but if you leave the country twice in one year it may be less expensive to buy enough coverage for an entire year. I’m not buying any additional coverage. My current health insurance comes with emergency coverage anywhere in the world. I hope nothing happens but will deal with it if it does. Impressive Holly! Hope you guys have an awesome time! (How could you NOT have an awesome time when you are traveling to Europe for almost nothing???!). Strong work there! We tend to pre-pay lodging and airfare, and then are happy to spend $100/day or less on food, entertainment, and local travel. That worked pretty well in Sydney and that place is freaking expensive. For breakfast, I recommend filling up on cheese platters and museli if they’ve got it. Not only does it taste wonderful, but it keeps you going for a while without getting hungry! I honestly don’t know what “free breakfast” entails, but I am going to make the best of it! Hopefully something filling. I’m with you on the free breakfasts–stock up! That’s what we always do and it works well. And, in terms of eating during the day when in Europe, we always hit up a grocery store in the morning and grab provisions (bread, cheese, etc) to eat during the day. This is vastly cheaper than restaurants, and, then we’re flexible on lunch locales. We’ve had a lot of picnics outdoors, in museum cafes, on trains, etc. It’s pretty ideal & frugal in my book. We went to London and Paris a few years ago and took the Chunnel–it was a marvelous trip. Have an awesome time! Thanks. Yeah, a trip to the market or grocery store is likely. We also don’t mind street food/fast food as long as it is vegetarian. But we are getting free breakfast! That should help, right? I’m filing this under “when I get out of debt” posts 🙂 Definitely one I’ll be coming back to because my first stop when I’m student-loan-debt free is Europe! Just load up on the free breakfast and you should be fine. 🙂 have a great trip! Sounds like a great trip Holly! Have fun! Are you budgeting for wine? Is that more expensive in Paris? I can’t wait until you report all the expenses back. I’m going to copycat for out trip next year! I think I’d also like to do some sort of river cruise or maybe there is water transportation? I think that would be more fun than taking ground transportation, but I honestly have no idea. Bahahaha! I doubt I’ll drink. The London Pass includes the Thames River Cruise. We’ll probably do that but it’s already paid for. I will definitely report back with our expenses – good or bad. Have a great trip! I’m sure it’ll be great 🙂 I need to give Paris another chance, we’ve been but didn’t love love it. i do however want to see rest of France, esp eastern france near Germany (Strasbourg). Glad we saw some of the things we did but wouldn’t rush to go back, i know im probably in the minority though haha. Food can be very expensive esp w/cost of Euro. I remember paying $30 CND for the 2 of us to eat street vendor crepes…..Can’t wait to hear about it! I had a pretty slim attraction budget for my Euro trip last year because I usually don’t do the whole museum, tour bus, 3-hour lineup, touristy thing. I ended up blowing my budget way out of the water because there were so many things I ended up seeing and doing that I didn’t know existed until I got there! This is an awesome post and totally relevant for one of my clients. She was just talking about going to Europe next summer and we discussed credit card rewards and how she could go about doing it. Now I can just send her this link. I can’t wait to hear about your trip, it sounds like it is going to be SO much fun!! Sounds like a fun trip. We did a 5 week backpacking trip through Europe a couple years ago so if you have any questions feel free to message me. I wasn’t too impressed with the Stone Henge (pouring rain all day that day) but the city of London is great. A bit on the pricey side so I’d budget for everything to cost more than back home. But nowhere near as expensive as Switzerland. I’d watch for pickpockets everywhere you go, especially Paris. 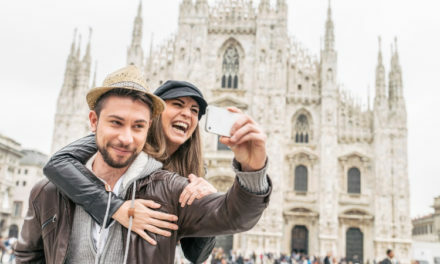 Now they pose as lost tourists and will distract you (and somehow get your wallet). If you’re into food definitely check out Italy – best food Ive ever tasted. Paris has some decent baked goods but nothing like the pasta, wine and pizza of Italy. Have fun! Food could be more (or less) expensive, depending on if you’re going to a sit down restaurant or not. Remember, they don’t tip in France (generally, just leave loose change). The exchange rate is not so great right now, so euros are a bit on the expensive side. What do you plan on doing in Paris that you want/need a visite card? – it gets you a discount for museums but you said you weren’t likely going to those. Why not buy a carnet (10 tickets) and pay per ride like a Parisian available at any tabak/train station/airport (http://www.ratp.fr/en/ratp/r_61656/t-ticket/). In Paris, we just need public transportation. We’re not buying the “Paris Pass” or anything like that. We simply need a train pass. Oh – related – unless you get the 5 zone Visite card, CDG is outside the bounds of the city center as far as the RER goes. But a one way ticket is just 9.75 euro. Yes, I read that part. I don’t think we need a Zone 5 card the rest of the time so we’ll probably just purchase that ticket separately. When we’re on vacation, food is one of the things that we don’t scrimp on. We are huge foodies, so we love to eat how the locals eat. To be honest, when we’re on vacation, we don’t stick to much of a budget, because chances are we won’t visit the same place twice so we like to take advantage. Perhaps I should say, we do have a budget, but it’s always on the larger side. This sounds awesome! I do have the AA card and have enough for a RT flight to Europe. I’m now working on another card so the bf can come too 🙂 You did a great job on this. Just curious, do you work on vacation, or just work like a fiend before and after? Both! It’s pathological! I work A LOT before vacation so I can work just a little while on vacation. Wow, great job on the credit card rewards. I always tend to under budget when I travel but I think $750 sounds do-able. Can’t wait to hear about your trip! I was in London last year and budgeted $500. It was a good amount for 4 days and I had to pay for my own breakfast but like you I usually eat a large breakfast and skip lunch when I travel. With all the running around you’ll be doing you won’t have much time to eat lunch anyway. I also got the London Pass and was really looking forward to the River Cruise but then it snowed the day we were going and it was just too cold to do it. It was disappointing. I traveled in March and it was freezing in London. ;/ I hope you have great weather! Enjoy! Oh and definitely visit the London Eye. Great views of the city from up there. My bf and I just went to Europe this August. The trip was Ah- mah – zing!! We went to Germany, Holland, France, and the UK. We used miles for the flights and hotels :). We spent a total of $2000 out of pocket (16 days). A piece of advice, Paris and London are very well connected with the subway trains. You can go almost anywhere inside the city with the trains. I think it’s cheaper and more convenient compared to renting a car. The only downside of our trip was the length of the trip. We live in Hawaii and we had to endure almost a day of flying! Ugggghhh. Have a fun trip! Aloha. Good luck. The two places you’re visiting are quite pricey and love the fact you’ve budgeted for it. Have fund and take lots of pictures. My mom does London on the cheap. She stays in a hostel, which is cheap but pretty good. But it’s not always fun to do a bare bones trip. I’m glad you are going to be able to enjoy yourselves a little more. We budget for vacations by just putting $100 aside each month. It wouldn’t be enough for Europe for awhile, but it helps us defray the cost of the occasional trip to Vegas or out to FinCon! I’ve lived in Europe and spent a lot of time in London/Paris. London’s transportation is super expensive. The Tube is expensive to Londoners and we have to factor in the exchange (usually one pound is around $1.61) Never go to American businesses-they will be more expensive. The Chunnel is cool and super fast! The food is great in France. Nom nom and the wine is cheap and good! Have an amazing time, can’t wait to see the pictures. Sounds like you have an amazing trip planned! I think pigging out and gorging at the hotel breakfast is a great idea and that’s what we always do as well. Another thing we do quite a bit in Europe is try to live like the locals so we find food vendors to get a taste of the local fast food and it’s usually very cheap and delicious. Have a wonderful trip! I hope you have an amazing time! Sounds like you’ve thought of everything. I totally wouldn’t be above sneaking some food into my purse for the rest of the day, either. I love taking advantage of free meals on vacation. Enjoy your trip! Your airport parking is so cheap. You can get free train tickets to Paris with Avios from Iberia, British Airways and their network. A cheaper way to eat out is to have the lunch special at the latest possible time and skip dinner instead, like just get ice cream or pastries. Lunch is often cheaper than dinner. That has to be one of thriftiest European trips I have seen. Very good. Have fun. Sounds like a great plan, I’m sure you will have a great time. I’ve been to both cities for business and fortunately had time to sightsee on wknds. I know it’s a long plane trip, but resist the urge to nap once you get in your room on arrival…this will force yourself to adjust to the local time zone. It’s easier to adjust on the return trip. Bonjour! Depending on the hotel where you’re staying, breakfast probably isn’t a huge continental breakfast like you get in the US. It’s more likely to be some great fresh bread, some meat or cheese to go on top, and coffee. As long as you’re not trying to eat right outside tourist attractions, the food should be slightly less expensive. However, I don’t remember it being cheap in Paris. I’d recommend paying to go to the top of the Eiffel Tower and the Louvre. I also really enjoyed going to Versailles, which is very close to Paris and gorgeous. That’s awesome! It seems hotels that cater to Americans do that, while I’ve seen lots of smaller places that cater more to locals do a typical lighter breakfast. I did the London/Paris trip a couple of years ago and loved it! If you go to Buckingham Palace or the London Eye, I would highly recommend paying the extra money to get a fast pass and skip the lines. Also, hopefully you have the Charles Schwab checking account so you can draw money out at any ATM with no fees (no ATM or foreign transaction fees)! I got back from Paris on the 28th. Hope the trip went well. Basically used miles myself and AirBnB which was a good deal. I’ve done enough of these trips, where I throw lots of granola bars and power bars in my bags. Cost effective and though I eat plenty, it gives me snacks that I don’t have to purchase. We did the same! We bought some power /granola type bars to take with us. Hope your trip was wonderful!